Here's the artbook of Mike Lim, better known as Daarken. His website and blog are worth checking out also if you can't get enough from this 200-page hardcover. This is a concept art book featuring mainly character designs he has created for publications, video games and other projects. The focus is on fantasy art so you'll see work from Magic: The Gathering, World of Warcraft, Dungeons & Dragons, Kingdoms of Amalur and his other personal projects. The character designs are great. Very cool and striking. The later pages departs from the fantasy genre with pages of figure drawing sketches, portrait paintings and his landscape drawings of urban city streets. I had thought that the city street paintings were actually photographs at first because of the amazing realistic lighting. On closer inspection, you can see how the scene is interpreted and painted. Right at the back is a walkthrough of the cover creating process. Throughout the book, there are also commentary for selected illustrations. 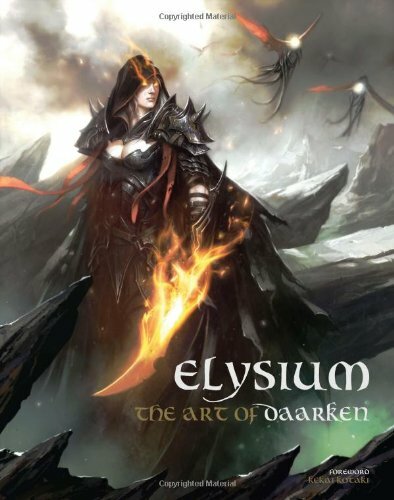 Recommended to fantasy art lovers and Daarken fans.